Log in above or click here for our new member application. The hOurworld mobile apps are HERE! Welcome to Tompkins Time Traders! Hi! You are on the Tompkins Time Traders Member Log in page. 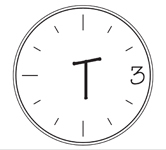 To find more information about Tompkins Time Traders, our FAQ, public events, questions about TimeBanking, and Media requests, please go to our website. Help your neighbors and earn time credits that can be used to receive services you need from any member. In the Hour Exchange, everyone's time is equal no matter what the service and there are hundreds of services available. Juliana Garcia host of Talk of the Town on WVBR 93.5FM invited Tompkins Time Traders to be her guest on Saturday 29 March 2014. If you missed the show you can listen to the podcast at: wvbr.com/podcasts/463. The mobile apps are HERE! 1. To undertake and request neighborly acts of kindness, caring and assistance with other members of the time bank. 2. To do my best and appreciate the best of others. 3. To hold Tompkins Time Traders Time Bank and the Board of Directors of Ithaca Hours harmless from any and all liability, actions, claims and damages of any kind, including those caused by and/or arising from negligence for injury to person or property. 4. To clarify all details of the exchange before commencing action with the exchange member. I agree to negotiate when, where, how many hours and the cost of materials that may be involved in the exchange. 5. When the exchange involves services such as transportation, childcare, eldercare, plumbing, etc. it is the responsibility of the recipient to ascertain the provider’s competency and certification to his/her level of comfort. 6. To respect my exchange partner’s privacy and confidentiality, unless someone is in danger. 7. To be patient and calmly communicative, rather than critical; to provide all services with dignity, care and respect; and to be accepting of guidance and instructions. 8. When offering “child care” services, the member must be a licensed childcare provider. All others must offer “babysitting” or “supervised playdates” services. 9. To decline an exchange at any time, including after it has commenced. I agree to speak up if the exchange is not working for me as a receiver or provider and if I find the work beyond my skill or comfort level, to stop as soon as possible and notify my exchange partner. 10. To see exchanges through to completion. 11. To refrain from smoking in or bringing pets to an exchange partner’s home, unless invited to do so. 12. To maintain at least one OFFER and one REQUEST in T3’s Time Bank or to list myself as “currently unavailable”. 13. To attempt to resolve any conflict amicably with another member. To refer any unresolved complaints conflicts or concerns to a T3 coordinator who will help to refer you to appropriate community resource. 14. To have fun and share my experiences! Members - Are you feeling frustrated with this website? Check out these SUPER tutorials! They are short and very instructive! Thank you Louisville Timebank for making and sharing. Timebanking was on the National News! On January 15th ABC Nightly News and Diane Sawyer aired a fantastic piece on the time bank in Louisville, Kentuck, which is her hometown. You can watch the video by clicking HERE! This is thrilling press for timebanking. In the video they highlight the nation's other timebank network, TimeBanksUSA. Tompkins Time Traders is in the hOurworld network. Both groups are doing the same thing, we're just using different software. 43 MEMBERS. 4,528 HOURS EXCHANGED.